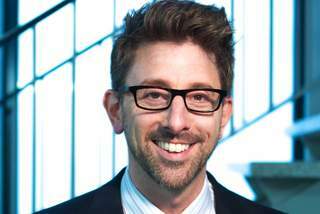 Marc Brackett, Ph.D., is Director of the Yale Center for Emotional Intelligence. His research focuses on the role of emotional intelligence in decision making, relationships, mental health, and both academic and workplace performance, as well as the impact of emotional intelligence training. He has published over 100 scholarly articles and is the recipient of numerous awards, including the Joseph E. Zins Award for his research on social and emotional learning. He is the co-creator of RULER, an evidence-based approach to teaching social and emotional learning that has been adopted by more than 1000 public and private schools reaching nearly one million students, including their educators and families. Dr. Brackett serves on a wide-range of Advisory Boards, including CASEL and Born This Way Foundation. For the last three years, he has collaborated with Facebook on three projects: (1) tools to help adolescents manage online bullying, (2) The Bullying Prevention Hub that provides resources for children, families, and educators; and (3) inspirED, a resource center to help high schools build more positive learning environments. He regularly consults with school systems and corporations around the world and his research has been featured in the New York Times and Time Magazine; he also is a frequent guest on National Public Radio. He also holds a 5th degree black belt in Hapkido, a Korean martial art.